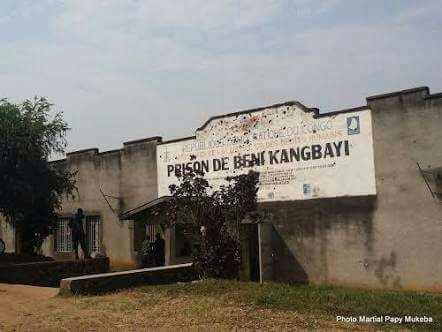 This Sunday, June 11, 2017, at 15:30 local time of the city of Beni, heavily armed assailants violently attacked KANGBAYI, the central prison of the city of Beni. Eleven people, including eight soldiers guarding the prison, fell under fire from light weapons and bombardment of the systematic heavy weapons that broke the bolts and opened the way for prisoners. Thus, nine hundred and thirty (930) of the nine hundred and sixty-six (966) prisoners found in the prison building felt liberated, all taking the escape route. These escapees are for the most part very dangerous persons, often arrested for crimes of massacre of civilians in the Beni region or for complicity in the case of the alleged ADF / NALU whose crimes against humanity Military court currently under way in Beni. The attack on Beni prison on that day, leading to the release of all formidable criminals there, intervenes just one day after the same kind of phenomenon against the prison of Matete in Kinshasa, while the memory of the attack on the Makala prison and the release of its prisoners in Kinshasa as well as the organization of the escape of prisoners in Bas-Congo still permeates the minds since these events occurred less than a week ago. On Saturday, 10 June 2017, General Timothée Munkutu, the military prosecutor, presiding over the military court on trial against the alleged ADF in Beni, made an unusual visit to the Kangbayi prison in Beni. Then, on the morning of this Sunday, he takes his flight to Kinshasa. Immediately, in the afternoon, heavily armed assailants launched a heavy attack against the prison, freeing all those they needed to escape, at the cost of the above-mentioned victims. The personality of General Munkutu appears, therefore, a priori very suspicious in the fatal blow which must have infiltrated the town of Beni, or even Beni-Lubero, by the execution of a criminal escape which seems to have been skilfully planned somewhere. Among the escapees, according to the same military court in Beni, there are Ugandan, Rwandan, Congolese and even Somali subjects awaiting trial following the presumption of their association with the crime of massacre perpetrated by alleged ADFs against civilians in the Beni region. Until those days, General Munkutu had never presented the defendants to the public. Moreover, locally, the people and especially the survivors have gradually lost confidence in this court which has been systematically corrupted, making the effort to mix the lies with the truth in order to create confusion, with the The objective of acquitting and protecting the true perpetrators of the crime of massacre while incriminating the innocent. Hence, this relentless effort to penetrate into the problem the customary chiefs of the community, such as BAMUKOKA, who had been forced by intimidation to co-operate with his criminal plan. General Munkutu and his superiors realized that the military tribunal sitting to try the alleged ADF was discovered by the opinions as a trial of shame for the Congolese government. They therefore felt that it was urgent to put an end to it in one way or another. These are all the reasons for planning the tragedy of this Sunday’s escape in Kangbayi Prison. Where else could we search for perpetrators of criminal outbreaks in rehearsal across the country? 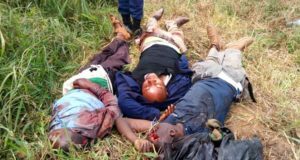 Third suspicion about the official: the 18 and a half hour curfew in Beni and Butembo returns to the table, an appeal to Kakolele to quickly invest the environment by his killer agents. 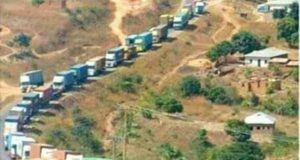 Provincial Governor of North Kivu, Julien Paluku, on behalf of the provincial security committee, immediately declared a curfew over the town of Beni and his sister of Butembo. “Experience makes wise,” it is said. Last year a similar provision was adopted after the Rwangoma massacres in the town of Beni. The local population, however, regretted that this curfew was imposed just to help Hutu illegal immigrants to overnight the towns of Beni and Butembo to escape any obstacle due to the vigilance of the natives. Even today it is not good intention that the same decision reappears. BLO unveiled last week the secret of the plan that Kakolele “White Eagle” has been ordered to cut the road to Kasindi, in order to further isolate the towns of Beni and Butembo, while infiltrating them by his collaborators of the M23 to To complete the plan of the chaos to be sown by violence, massacres and wars. This project also needed an alibi for its coverage. More than 900 criminals have just been injected into the environment and into the social environment. They must participate effectively in supporting the Kabila plan to be executed by Kakolele and company on Beni and all Beni-Lubero, to affect the borders of Ugandan territory in order to encourage Kampala to enter the dance and thus contribute to the tightening of The vice on Beni-Lubero. Kabila is now ready to open all the most dangerous prisons in the country. It is urgent that his power be stopped without further delay. In the meantime, Julien Paluku, who has just lost again the confidence that he was hardly able to recover, and his colleagues the provincial governors of Kinshasa and Bas-Congo, should expect to meet one day, alongside Of their master the President, of all these crimes of escape from prisoners deliberately organized for the need of preserving an illegitimate and illegal power. Suivant : Ataque y fuga en pleno día de la prisión de Beni: ¡los cómplices de los criminales son bien conocidos!